I hope you had an excellent summer with family and friends! As we move into autumn, I felt it was time for a market update. The North Whittaker Street project in New Buffalo phase 2 is underway! This project is some 30 years in the making, and we are all very excited to see this in progress. The pace in the market has been frantic over the last 45 days, and buyer activity is robust. The number of units sold year-to-date is up 14% and as much as 18% in September. Days on the market in 2017 are down 12% to 132. Average sales price is flat year over year, but seeing some recent increases in August & September. Residential listings are down over 10% since last year, and there continues to be a shortage of inventory. 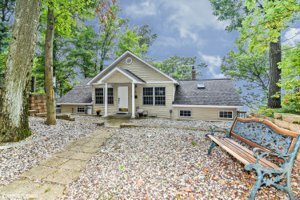 A relatively quiet summer selling season has led to a steady stream of buyers moving in this fall. REO/Bank Owned activity has dropped off to 4-5% of the local market; this is the lowest I have seen in some time. Please let me know if you are considering listing your property. It may be an excellent time for a discussion. Following a hectic month in November, I thought it was time for a quick market update. November saw 44 closings in our area, up 57% over the same time last year. The beautiful weather this fall played some part in this. Year to date there have been 361 residential closed sales, up 6 % over 2015. Days on Market are down to 152 vs. 177 in 2015 for a 14% reduction. This average can be used as a reasonable estimate if you choose to sell. If you can wait until spring to list, you will be in the strongest position. I would recommend late Feb to early March as the ideal listing period in our area. Average sales price in 2016 is -1% compared with 2015. Total dollar volume up 5% in 2016 to 129.5 million. Residential inventory is down 13% from last year. Last-minute buyers can often negotiate great deals at this time of year. Many sellers are highly motivated as we head into another winter! This is notice of a rare listing in the Waterway's Condo development in New Buffalo. These units do not come on the market very often, and this is a corner ground level unit. A short walk to town and the beach with the peace of the wetland preserve as a backdrop. Condos in town have been moving quickly, please contact me if you would like to take a look! 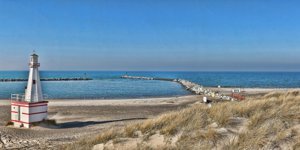 This is a unique opportunity to own a large 5-acre parcel on Lake Michigan with over 180 feet of frontage. 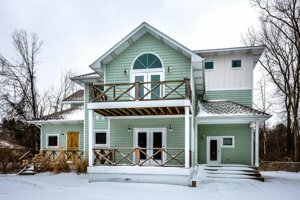 This home is located in the beautiful Fire Lanes of Covert and offers a sense of privacy not typical for Lake Michigan frontage. This heavily wooded and natural area is a true escape. 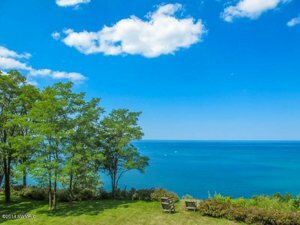 This lakefront listing in Benton Harbor was just reduced 100,000. This property has 125 feet of frontage and is 1.1 acres. 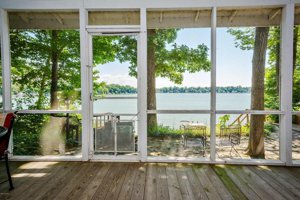 Located just north of Whirlpool Corp in Benton Harbor, this is one of the lower priced options on the big lake. The current home provides character and charm, but the value is really in the land. You could use the home for a while as you plan your dream home. Backyard offers fenced in setting with in-ground heated pool. At this price, this property will draw many interested buyers. 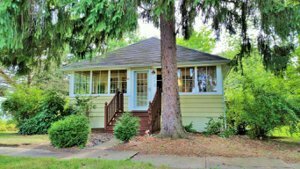 This cute cottage is located on Paw Paw Lake and harkens back to a simpler time. Set high on a hill with wonderful south views, this is an ideal setting. 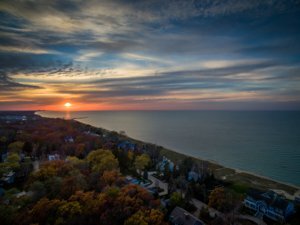 About 2 hours from Chicago, you will truly feel that you are away from it all. 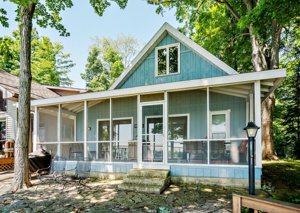 If you are interested in a small cottage on a large lake, this property stands out from the crowd. This unique foreclosure opportunity has really caught my interest. 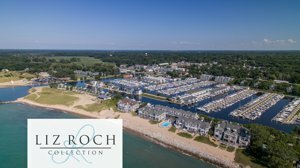 An opportunity to live and work in Harbor Country, all wrapped up in one great property. 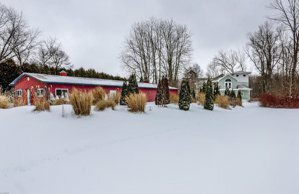 Located on Red Arrow Highway for maximum visibility, and the house is tucked back off the road for maximum privacy. No doubt that this property will move quickly. If you have any interest please contact me. 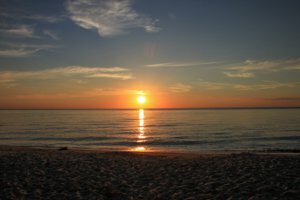 If you would like to stay informed of unique opportunities like this please "like" my facebook page. We have added a new tool to the website, and I wanted to make sure you were aware of it. It is called Market Reports and is accessed on the primary navigation bar. This screen provides a quick and accurate view of the real estate market in and around New Buffalo. On this one page you can see new listings, recently under contract properties, and recently sold properties. These reports are customizable, so you can set them up for any specific area of interest. 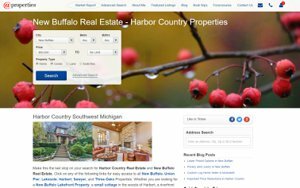 There are a couple of listings in the City of New Buffalo that are worth noting as we head into the holiday season. This time of year sellers are losing patience, and may be willing to accept a lower offer. The first listing is located on Monroe near New Buffalo Elementary School. This is a quiet street with some nicer homes. This homes interior is dated and needs work, but with 3 bedrooms and 2 baths and a large yard there is a plenty of potential. 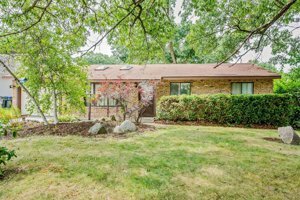 If you are looking for something that is more turnkey, take a look at this bungalow on Willard Street. This lot is 81 feet wide, which is large for the city of New Buffalo. Home is move in ready and offers 2 bedrooms and 1 bath. Let me know if you need any information on properties in the City of New Buffalo. Now is the ideal time for buyers in our area! Very private 4,724 sq ft home with breathtaking views of the Galien nature preserve. This is an ideal home for entertaining offering a gourmet kitchen with granite counters, high-end appliances, Sub-Zero refrigerator, Wolf stove and Fisher & Paykel dishwasher. The home also offers 4 bedrooms, 4.5 baths and a modern open concept. Enjoy the soaring 2 story main floor with a stunning fieldstone fireplace for those cold winter nights, and the beautiful in ground pool in the summer. A unique combination of privacy, and proximity to town and the beach, this is one special home.